“In the troubled history of Latter-day Saints in the 1800s, incidents of persecution in Missouri rank among the most heinous. The brutal shooting of seventeen Latter-day Saints, including a ten-year-old child, at Haun’s Mill on Shoal Creek in eastern Caldwell County, in October of 1838 came just three days after Missouri Executive Order No. 44 – more commonly known as the “Mormon Extermination Order” issued by Governor Lilburn W. Boggs. That order was formally rescinded by Missouri Governor Kit Bond in 1976, citing its unconstitutionality. Along with Mr. Otterson, I’m all for accurate dialog and respectful treatment toward one another. The current Governor of Missouri offered an olive branch of healing to the Latter-day Saints in April (2012); it was a fine gesture. But Mr. Otterson’s message of mutual respect and accuracy does not seem to be getting through to the rank and file Latter-day Saints. Let me provide two recent examples. While in Missouri a couple of weeks ago I visited the LDS tourist site, the Historic Liberty Jail. A sister missionary began the tour of the jail with a recitation of early Mormon history in the area then opened the floor for tour participants to share their feelings. Immediately a Mormon woman began speaking about Governor Boggs and the 1838 “Extermination Order.” With great emotion, she indignantly finished her remarks with these words: “For more than 130 years it was legal to kill Mormons in the state of Missouri!” Nearly the entire group, as with one voice, murmured in anguish. Another Mormon woman spoke up to declare that it was greed that caused the Missouri government to order that the Mormons be killed, adding insult to injury. And the sister missionary who was leading the tour explained that a “false” accusation of treason* was the vehicle Joseph Smith’s enemies used to arrest and incarcerate him in Liberty Jail. I’ve been to many Christian outreaches at Mormon venues and I have to say that it is rare for a Mormon to become this violent toward a critic. While the idea of mutual respect is obviously absent here, the more pertinent part of this story is the way Mormon officials responded. After the assault Shane called the police, but since he was unable to get the license plate number for identification of the man who hit him there was nothing much the police could do. However, Shane had a witness. A Mormon volunteer assigned to manage traffic for the temple open house saw the whole thing; but he refused to talk to the police. Additionally, the LDS Church has recorded video of the assault; but they are (so far) withholding any offer to allow the police to view it. With what seems like “animosity and ill-will,” are these Mormons unwilling to “set aside personal biases” to come to the aid of another who was physically assaulted by one of their own? Mr. Otterson has written impressive words that speak of healing and mutual respect, but when the rubber meets the road it’s just the same old slippery blacktop. *On the charge of treason against Joseph Smith, LDS historian Richard Bushman wrote, “The skirmish at Crooked River led to the charge of treason against Joseph Smith and the Mormon leaders. Resisting a band of vigilantes was justifiable, but attacking a militia company was resistance to the state” (Joseph Smith: Rough Stone Rolling, p. 364). This entry was posted in Civil Liberties, Mormon History and tagged Extermination order, Mormon History, Mormon War in Missouri, Persecution. Bookmark the permalink. I’m ashamed when I hear stories like the one above. I have no doubt that Shane didn’t deserve to be treated that way. I hope the man is prosecuted to the fullest extent of the law. all through the years the order was in effect. I’m not trying to say that it’s not a sore spot for some Lds, just that it’s interesting what different things people hear or don’t hear. I had the persecution thing pounded into my head from the time I could talk. I was 39 years old before I ever heard about the battle of Crooked River. I read a book given to me by my pastor called The 1838 Mormon War in Missouri by Stephen C. LeSueur. this book really opened my eyes to this time period and the Mormons were not as innocent as I’d been taught. The following link is to letters written by Missourians during that time period. Interesting stuff. I am one of the ones that have trouble at times a being kind about this. In his talk “Should Christians Support a Mormon Running for President?” Bill McKeever addresses some of the same problems today. MRM and ya’ll are among the mildest teachers against Mormonism. There are some who get downright nasty and I am afraid ya’ll get lumped together. Ya’ll are paying the price for others extreme actions. It is kind-a-like when you folks take the extreme action of one Church member and then use it to say we are all bad. I use the term “against Mormonism” because you, like most mission to Mormons, spend your time telling us why we are wrong and not telling us why you are right. 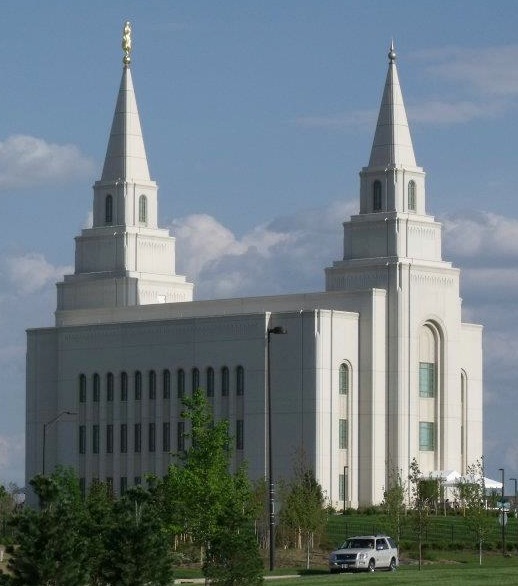 You then say that you are doing the same thing that the LDS Church does and you quota a few examples over and over and over as if they are the norm. Except for a few like me here and at other blogs, the norm is that we spend most of our time telling others why we are following the correct Gospel and only on occasion say that this is an example of why you are wrong. So, get your armies of missionaries ready, have them knock on our doors and offer to tell us why you believe you are right. We do it and so can you. Our people will act much like yours, some will slam the door in your face, most will politely say no thanks, and some will listen to you teach why you think your traditional Jesus is the true Jesus. Our “army” has been up and running for about ten years now. It’s called the internet. With Facebook reaching almost a billion people now, social media is fast outpacing the old door to door approach. My Facebook page reaches about 13,000 people a week, and it’s been growing at a fast pace. We have been attacked personally, our comments flagged as “hate speech”, (even simple quotes by Mormon leaders) but nothing done by Mormons has done any good. The Mormons doctoring of their history doesn’t work with many who have an open mind, and read and research for themselves. The information is shared, linked, and passed along to thousands, through the social friends network. Like a lot of instances of Mormon history like the Extermination Order, Mormons have a vested interest in twisting the truth, (it wasn’t legal to kill Mormons before it’s official retraction – that is a blatant lie), and no one would have been able to use that as a justification to do so, just like the lies about Adam-god, polygamy, and a host of other issues that the Church continues to lie about. Smith did commit treason, ordering David W. Patton (Captain “Fearnaught”) to attack State Militia. Stupidity does not count in such instances, and Smith couldn’t claim the same (or blame it on someone else) when it came to destroying a printing press 6 years later in Nauvoo which resulted in another charge of treason. 1. To destroy utterly; to drive away; to extirpate; as, to exterminate a colony, a tribe or a nation; to exterminate inhabitants or a race of men. So if I take what Sharon has written, is Gov Bloggs saying “and must be [driven out] or driven from the state”? If so that is a redundant statement. Now that brings a more sinister meaning doesn’t it? And it isn’t redundant. If he didn’t mean ‘kill’ Mormons then you can see how his words can be misconstrued to look as if that is what he meant. Or may be that is exactly what he meant. In an effort to offset the onslaught of unjustified threats and basically defend themselves, a unit of the LDS Caldwell County militia engaged the Ray militia on October 25 at Crooked River. Men were killed on both sides, and wildly exaggerated rumors of marauding Mormons inflamed the countryside. On October 27, without investigating the charges and countercharges, Governor Boggs accused Church members of initiating hostilities and ordered the state militia to exterminate the Mormons or drive them from the state. Three days after Boggs signed the extermination order, a unit of the state militia killed seventeen Latter-day Saints and one friendly non-Mormon in the Haun’s Mill Massacre. Another thirteen were wounded, including one woman and a seven-year-old boy. No Missouri militiamen were killed, though three were wounded. We need to know Crooked River to understand Haun’s Mill. I was speaking in the context of the OP. After the time of the Missouri Wars. Use some common sense, please. And even Governor Boggs later ordered a militia unit under Colonel Sterling Price (later to achieve fame as a Confederate Civil War general) to northern Missouri to stop ongoing depredations against the Mormons. He didn’t rescind the order, but it had no teeth after the Mormons left Missouri, and there wasn’t any instances of anyone using it to persecute or kill Mormons after that time. This comment, “For more than 130 years it was legal to kill Mormons in the state of Missouri!” is blatantly false, and history backs it up. Is you army an un-army, like MRM, that spend it’s time trying to tell me why I am wrong, or are you a pro-traditional-Christian army that teaches why you believe you are correct? Also, the leader of the Ray militia was a known member of mobs that had already been doing harm to the Mormons. He started the action by forcing some Mormons from their homes. Because of his actions, it looked like he was just going to keep doing what he had done in the mobs. Common sense is only as good as who you are in common with. As you said, he didn’t rescind the order. Even if no one obeyed the law, it was still on the books, and legal, that Mormons were to be “exterminated or driven from the state”. It’s funny, I perused all of the posts above and didn’t notice anything about Mountain Meadows, which usually comes up in these Missouri discussions to show Mormon initiated violence against innocent people. I know enough about the 19th century history of the United States to know it was a very violent time. Does anyone recall the war that went on in Kansas (Bloody Kansas) over the issue of slavery? How about John Brown’s attack on Harper’s Ferry or the Nate Turner Rebellion? Think of all of the religious sects of that era. How many got involved in a war? Why did the folks in Missouri not take to the Mormons? Who provoked who? It’s kind of fun to play the persecution card. It’s part of the “poor me” game played collectively by Mormons. 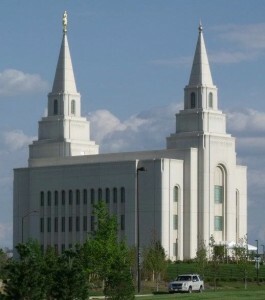 I think there’s some strange sense with Mormons that they were/are persecuted because they are the “true” church. Persecution is also a good way to build cohesion within a group. If there’s a perceived threat from the “outside”, folks tend to bond. So I get it with Mormons. They don’t want to give this up. Besides it takes attention off the real issues which is Mormonism itself. So claiming victim status is very important to Mormons and to Mormonism. First of all there’s a certain psychological advantage they gain. There’s the “good” people and “bad” people labels that can be assigned to the victims and the persecutors. This can even be generalized to “Mormons good” “Christians bad” thinking. Can we even say that Mormons have been persecuted and victimized by their own leadership? Has anyone studied the “handcart brigades” that came across the plains during the Mormon migration? The sanitized Mormon version of course has the poor set upon Mormons having to trek across the prairies of the west to find their promised land with the Mormon Moses Brigham Young bravely leading them on. The truth of the matter isn’t all that attractive. “The Mormon Church has successfully promoted a history which favorably promotes a positive image, but is exactly opposite of the real history of the event. What was the actual number of lost lives in this “greatest single tragedy in the history of the nation’s move west in the nineteenth century”? So can’t we say that the persecution and suffering of Mormons at the hands of their prophet Brigham Young were greater than that in Missouri. What happened in this tragedy was the result of a false prophesy of Brigham Young. People do suffer at the hands of false prophets. Why did these people emigrate to die or be maimed on the plains of America? Mormons oft times answer: Religious Persecution. That answer would only be a partially accurate answer for the Mormon migration to Kirkland, Ohio, then to Independence and Far West, Missouri, then to Nauvoo, Illinois and on to Salt Lake City; however, there isn’t any evidence to support that the Mormon Emigration Handcart Treks were caused by persecution. The Handcart Treks which began in 1856 from Iowa City, Iowa were a drivative of false prophecy. false prophets —-Matt 24: 11 . Grindael, thanks for helping expose false prophets . I contend that the Mormon people have suffered more from their own prophets and leaders then they have from the so called persecutors. First of all, there have been plenty of groups who have been mistreated in our country over the course of time. Most, like Irish Catholics for example, have moved on. It seems to me that present day Mormons want to jump in with a “me too” sort of attitude like they were the ones who suffered the abuse. From what I can ascertain, Mormons of the era being cited, gave as good as they got. They didn’t pull a Gandhi and suffer without retribution. Also I don’t think Mormons were sitting around minding their own business when some bad people attacked them because they didn’t like their religion. They must have done something to get the populace fired-up. This idea that Mormons have been under an extermination order in Missouri is just plain stupid. I see it as just more of the hang-dog, poor-me attitude that has absolutely no basis in fact. How many Mormons were actually killed under this so called order? I doubt if it matches the number killed at Mountain Meadows. have from these men —-2Cor 11:13 . The Mormon people deserve better . In truth, it was overall successful. Shame on you Fred. “overall successful” ? So you’re into a numbers game with this tragedy? false gospel they’ve promoted —- Matt 15:14 . What is truly sad about this is that there were many, many children who died in those handcart companies. As a Mother I can’t even imagine putting my children through all of that. Those children didn’t have a choice. They were dragged along.